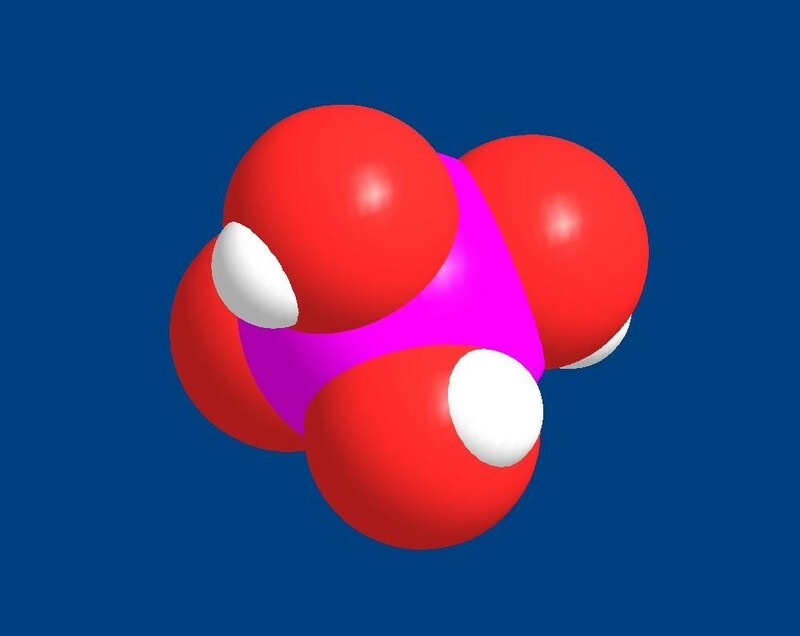 The phosphorus atom is one of living matter's basic building blocks. It is present in every living creature and in every reef aquarium's water. Unfortunately, it is often present in excess in reef aquaria, and that excess has the potential to cause at least two substantial problems for reefkeepers. The first is that phosphate is often a limiting nutrient for algae growth, so when elevated it can permit excessive growth of undesirable algae. The second is that it can directly inhibit calcification by corals and coralline algae. Because most reefkeepers don't want either of these things to happen, they strive to keep phosphorus levels under control. Fortunately, there are several effective ways to keep phosphorus concentrations at acceptable levels. What these methods are, and what are appropriate goals for reef aquarium phosphate concentrations will be addressed in this article. Phosphorus exists in two primary forms in seawater: as inorganic phosphates, especially orthophosphate, and as organophosphate forms. Orthophosphate is readily taken up by algae and is active in inhibiting calcification. The organic forms may or may not be available to organisms such as algae. Aquarists can readily test for inorganic orthophosphate using a standard aquarium phosphate test kit, but testing for organic phosphorus compounds is considerably more tedious. Moreover, if there is an algae problem, then the algae may be consuming the orthophosphate as fast as it enters the water, thereby masking the issue. Consequently, many reef aquarists may not recognize that they have a phosphate problem, only that they have an algae problem. This article describes some of the issues surrounding phosphorus in reef aquaria, including the forms that it takes, its origins, ways to test for it and, most importantly, ways to export it. The "simplest" form of phosphorus in seawater is inorganic orthophosphate (sometimes called Pi by biologists). It consists of a central phosphorus atom surrounded by four oxygen atoms in a tetrahedron (Figures 1 and 2). Three of these oxygen atoms can either have an attached hydrogen atom or carry a negative charge (Figure 2). The ratio of these different forms depends on the pH in seawater. At pH 8.1 seawater contains 0.5% H2PO4-, 79% HPO4-- and 20% PO4---. At higher pH the equilibrium shifts toward more PO4--- and less HPO4--. For a variety of reasons, especially including the ion pairing and consequent stabilization of PO4--- by calcium and magnesium, there is far more PO4--- in seawater than in freshwater at the same pH. This shift in phosphate species distribution with pH may seem esoteric, but it actually has important implications for such things as the binding of phosphate to calcium carbonate rock and sand, because the different forms bind to different extents. Figure 2. The structure of inorganic orthophosphate, with a central phosphorus atom (purple) and four oxygen atoms arranged in a tetrahedron. Three of the oxygen atoms can either have an attached proton (green) or be present with a negative charge on the oxygen atom (red). The amount present in each form in seawater varies with pH as indicated. At concentrations below about 0.03 ppm, the growth rate of many phytoplankton species depends on the phosphate concentration (assuming that something else, such as nitrogen or iron, is not limiting their growth). Above this level, many organisms' growth rate is independent of phosphate concentration.1 So, to deter algal growth by controlling phosphate, aquarists need to keep the phosphate levels quite low. Phosphorus also can take other inorganic forms, such as the polyphosphates, which are rings and chains of phosphate ions strung together by P-O-P bonds. While these are usually insignificant in natural seawater, they can be present in various solutions that are added to reef aquaria. There are many of these compounds, but most will likely break down into orthophosphate when added to a reef aquarium. Polyphosphates are used industrially to bind metals, such as in some laundry detergents. In that application they form soluble complexes with calcium and magnesium, softening the water and enhancing cleaning action. The amount of phosphate entering natural waterways from laundry detergents, however, is high enough that algae blooms sometimes result, and the practice of using phosphate in detergent is now illegal in many places. In seawater, organic phosphorus compounds are far more varied and complex than inorganic phosphates. Many common biochemicals contain phosphorus and every living cell contains a wide variety of them. Molecules such as DNA, ATP, phospholipids (lecithin) and many proteins contain phosphate groups. In these molecules, the basic phosphate structure is covalently attached to the remainder of the organic molecule through one or more phosphate ester bonds to a carbon atom. These bonds are stable for some period of time in water, but eventually break down to release inorganic orthophosphate from the molecule's organic part, a process that can be sped up through the action of enzymes in a reef aquarium. Many of these organic phosphate compounds will be readily removed from an aquarium by skimming. Export of organic phosphates is likely the major way that skimming can reduce inorganic orthophosphate levels in an aquarium. Orthophosphate ions are not significantly removed via skimming (because they do not adsorb onto an air/water interface), but organic phosphates can be removed before they are converted into inorganic orthophosphate. An important point about organic phosphates is that they are not readily bound by inorganic phosphate-binding materials used in the aquarium hobby. Consequently, while these products may do a fine job of reducing inorganic orthophosphate, they may not substantially reduce organic phosphates. A final point is that organic phosphates are not detected by most test kits designed for hobbyists. Those that do detect organic phosphates (e.g., Hach PO-24) break the phosphate off the organic compound, thereby converting it into inorganic orthophosphate prior to testing. These kits are tedious to use and expensive, however, so they're not for every hobbyist. Indeed, I've never used one. Flake fish food is typically about 1% phosphorus (3% phosphate equivalent) by weight (and many products have such phosphorus data on their labels). Consequently, if five grams of flake food is added to a 100-gallon aquarium, there is the potential for the inorganic orthophosphate level to be raised by 0.4 ppm in that SINGLE FEEDING! That fact can be a significant issue for reefkeepers: what do we do with all of that phosphorus? If the food is completely converted into tissue mass, then there will be no excess phosphate. But much of the food that any heterotrophic organism consumes goes to provide energy, leaving a residue of CO2 (carbon dioxide), phosphate and a variety of nitrogen-containing compounds (ammonia, nitrite, nitrate, etc.) as shown above. A fish, whether it is an adult or a growing juvenile, consequently excretes much of the phosphorus that it takes in with its food as phosphate in its waste. Of course, overfeeding will result in more phosphate delivery than will reduced feeding levels. Unfortunately, many types of seafood available at the grocery store have various inorganic phosphate salts intentionally added to them as preservatives. These foods include canned and frozen seafood, as evidenced by their label, and even some fresh seafood. In these cases, rinsing the food before using it may help to reduce the phosphate load it adds to the aquarium. Finally, tap water can also be a significant source of phosphate. The tap water that the Massachusetts Water Resources Authority supplies to me is acceptably low in phosphate, or at least it was the last time I measured it. In other water supplies, however, phosphate levels can be too high for reefkeeping. In 2005 New York City officials reported that water samples showed phosphate levels as high as 3 ppm. I'd recommend phosphate testing to anyone with an algae problem who uses tap water, in order to ascertain whether phosphate in the water is an issue. On the other side of this issue are those reef aquaria without fish. Because phosphorus is required for growing tissue, it is mandatory that some phosphorus source be available to corals and invertebrates growing in a reef aquarium. Finding a source is trivial if fish are in the aquarium, but in aquaria without fish, reefkeepers must somehow add phosphorus. The solution to this problem is easy: either add fish food, even though there are no fish, or add a source of phosphorus such as a plant fertilizer (and if the fertilizer does not contain nitrogen, a source of that may be needed as well). One important issue relating to elevated phosphate in reef aquaria has to do with the inhibition of calcification by phosphate and phosphate-containing organics. Phosphate is known to inhibit the precipitation of calcium carbonate from seawater.2-4 The presence of phosphate in the water also decreases calcification in corals, such as Pocillopora damicornis5 and entire patch reefs.6 This inhibition is likely related to the presence of phosphate in the extracytoplasmic calcifying fluid (ECF), where calcification takes place in corals7, and on the growing crystal's surface. Exactly how the phosphate gets into the ECF isn't well understood. Figure 3. The chemical structure of the organophosphate "etidronate," shown in a fully protonated form. Now that we know where phosphate comes from, and what impact it has, we can proceed to ask where it goes and how to maximize those export processes. Certainly, some phosphorus goes into the bodies of growing organisms, including bacteria, algae, corals and fish. Some of these organisms stay permanently in the aquarium, and others may be removed by algae harvesting, skimming of small organisms and even pruning of corals. These and other mechanisms are discussed in subsequent sections of this article. One mechanism for phosphate reduction in reef aquaria may simply be the precipitation of calcium phosphate, Ca3(PO4)2. The water in many reef aquaria is supersaturated with respect to this material, as its equilibrium saturation concentration in normal seawater is only 0.002 ppm phosphate. As with CaCO3, the precipitation of Ca3(PO4)2 in seawater may be limited more by kinetic factors than by equilibrium factors, so it is impossible to say how much will precipitate under reef aquarium conditions (without, of course, somehow determining it experimentally). This precipitation may be especially likely where calcium and high pH additives (such as limewater) enter the aquarium water. The locally high pH converts much of the HPO4-- to PO4---. Combined with the locally high calcium level (also from the limewater), the locally high PO4--- level may push the supersaturation of Ca3(PO4)2 to unstable levels, causing precipitation. If these calcium phosphate crystals are formed in the water column (e.g., if they form at the local area where limewater hits the aquarium water), then they may become coated with organics and be skimmed out of the aquarium. 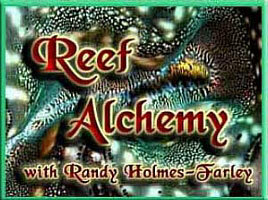 Many reefkeepers accept the concept that adding limewater reduces phosphate levels. This may be true, but the mechanism remains to be demonstrated. Craig Bingman has done a variety of experiments related to this hypothesis, and has published them in the old Aquarium Frontiers magazine. While many aquarists may not care what the mechanism is, knowing how it occurs will help us understand the limits of this method, and how to best employ it. One possible mechanism could be through calcium phosphate precipitation, as outlined above. A second mechanism for potential phosphate reduction when using high pH additives is the binding of phosphate to calcium carbonate surfaces. The absorption of phosphate from seawater onto aragonite is pH dependent, with the binding maximized at around pH 8.4 and with less binding occurring at lower and higher pH values. Habib Sekha (owner of Salifert) has pointed out that limewater additions may lead to substantial precipitation of calcium carbonate in reef aquaria. This idea makes perfect sense. After all, it is certainly not the case that large numbers of reef aquaria exactly balance calcification needs by replacing all evaporated water with saturated limewater. And yet, many aquarists find that calcium and alkalinity levels are stable over long time periods with just that scenario. One way this can be true is if the excess calcium and alkalinity, which such additions typically add to the aquarium, are subsequently removed by precipitation of calcium carbonate (such as on heaters, pumps, sand, live rock, etc.). It is this ongoing precipitation of calcium carbonate, then, that may reduce the phosphate levels; phosphate binds to these growing surfaces and becomes part of the solid precipitate. If the calcium carbonate deposits are growing, then phosphate may become buried in the growing crystal, which can act as a sink for phosphate, at least until that CaCO3 is somehow dissolved. Additionally, if these crystals are in the water column (e.g., if they form at the local area where limewater hits the aquarium water), then they may become coated with organics and be skimmed out of the aquarium. How organisms obtain phosphate is, in nearly all cases, poorly understood. Even the phosphate absorption mechanisms used by humans are still the subject of intense research. One of my professional research areas involves using drugs to modify phosphate absorption in people. Patients with kidney disease often suffer from excessive blood phosphate because they cannot effectively excrete phosphate taken in with their foods. My work has, in part, resulted in a widely prescribed pharmaceutical that reduces the uptake of phosphate (Renagel®). Nevertheless, despite having studied this area for years, spending many millions of dollars and using the resources of a large team of researchers, I would be the first to admit that the molecular level mechanisms whereby phosphorus gets from food into the blood of humans is not completely understood. Because the absorption process in humans is not fully understood, it's not surprising that the phosphate absorption mechanisms in coral reef creatures are also poorly understood. It's frequently said that limiting phosphate will limit algae growth in reef aquaria. That is almost certainly true, but some species of microalgae thrive more readily under phosphate limitation than others (click here for a phosphate limitation study). Some species of microalgae can, in fact, significantly regulate their inorganic phosphate transport capabilities to deal with variable phosphate levels (click here for studies on the Upregulation of Phosphate Transport). Finally, organic phosphates must also be considered. Many organisms can enzymatically break down organic phosphates into inorganic orthophosphate prior to their absorption. Consequently, we are left with a poor understanding of what organisms in our aquaria use what forms and concentrations of phosphorus. Further complicating matters, our aquaria are usually greatly skewed from natural seawater in terms of other nutrients (e.g., nitrogen, iron, etc. ), so we cannot readily extrapolate from phosphate studies in seawater to draw any conclusions about our aquaria. Nevertheless, many aquarists are very successful at dealing with algae problems by reducing phosphate using one of the mechanisms detailed later in this article. Even if phosphate is very low (say, 0.02 ppm or less), a large algae outbreak can often be resolved by diverting the phosphate away from the algae and into some other export mechanism. As mentioned above, at inorganic phosphate concentrations below about 0.03 ppm, the growth rate of many species of phytoplankton depends on the phosphate concentration (assuming that something else, such as nitrogen or iron, is not limiting growth). Above this level, many organisms' growth rate is independent of phosphate concentration.1 So to deter algae growth by controlling phosphate, aquarists need to keep the phosphate levels quite low. Having sufficient microalgae can keep the phosphate level below 0.02 ppm. The same is true for macroalgae, where an adequately large amount of macroalgae can keep phosphate below 0.02 ppm, and hence the reason that many aquarists use macroalgae to export phosphate. Consequently, the phosphate concentration itself is an inaccurate guide to whether exporting phosphate is going to help resolve an algae problem. In fact, it almost always seems to be effective, although exporting adequate phosphate is not always easy, especially if the phosphate concentration is very high (say, higher than 0.2 ppm). Growing and harvesting macroalgae can be a very effective way to reduce phosphate levels (along with other nutrients) in reef aquaria. In my reef system, where I have large, lit refugia to grow the macroalgae Caulerpa racemosa and Chaetomorpha sp., these algae are clearly the largest phosphate export mechanisms. Aquaria with large amounts of thriving macroalgae can avoid microalgae problems or excessive phosphate levels that might inhibit coral calcification. Whether the reduction in phosphate is the cause of the microalgae reduction is not obvious; other nutrients can also become limiting. But to reef aquarists with a severe microalgae problem, the exact mechanism may make no difference. If rapidly growing macroalgae absorb enough phosphorus to keep the orthophosphate concentrations in the water column acceptably low, and at the same time keep microalgae under control, most reefkeepers will be satisfied. For those interested in knowing how much phosphorus is being exported by macroalgae, this free PDF article in the journal Marine Biology has some important information. It gives the phosphorus and nitrogen content for nine different species of macroalgae, including many that reefkeepers typically maintain. For example, Caulerpa racemosa collected off Hawaii contains about 0.08 % phosphorus by dry weight and 5.6% nitrogen. Harvesting 10 grams (dry weight) of this macroalgae from an aquarium would be the equivalent of removing 24 mg of phosphate from the water column. That amount is the equivalent of reducing the phosphate concentration from 0.2 ppm to 0.1 ppm in a 67-gallon aquarium. All of the other species tested gave similar results (plus or minus a factor of two). Interestingly, using the same paper's nitrogen data, this would also be equivalent to reducing the nitrate content by 2.5 grams, or 10 ppm in that same 67-gallon aquarium. A second means of exporting phosphate is bacterial growth. Such growth can be spurred by adding carbon sources to the water. Some carbon sources include sugar, acetic acid (vinegar) and ethanol (ethyl alcohol; often as vodka). A variety of commercial systems, such as zeovit, also appear to add carbon sources, although they rarely reveal exactly what ingredients they contain. These bacteria feed on the added carbon sources, using them as a source of energy. As they grow and multiply, they necessarily take up nitrogen and phosphorus from the water to form the many biomolecules that they contain, such as DNA, RNA, phospholipids, etc. These bacteria are then usually removed, e.g., by skimming. One drawback to this process, relative to doing the same thing with macroalgae, is that the bacteria consume oxygen as they metabolize organic compounds. Macroalgae, on the other hand, require large areas exposed to light, using costly energy and what is often most limited: real estate in the vicinity of the aquarium. Another concern is the potential change in the populations of different types of bacteria. That change could potentially have negative consequences, although few reef aquarists have noticed any such issues. The organic compounds removed by a skimmer collectively contain carbon, hydrogen, nitrogen, phosphorus and sulfur, among other atoms. So skimming and exporting organics tend to have the very useful attribute of exporting these molecules before they can be broken down into phosphate (and nitrate, sulfate, etc). Many organisms, from fish and people to bacteria, for example, take in organic materials as a source of energy and release the excess nitrogen, sulfur and phosphorus not needed for growth. In many cases in an aquarium these excreted materials end up as phosphate (and nitrate, sulfate, etc), either by direct excretion, as in the case of phosphate and nitrate, or as ammonia, urea or other nitrogen-containing compounds that, through additional bacterial processing, can end up as nitrate. Inorganic orthophosphate itself does not adsorb onto an air water interface, and so will not be directly skimmed out. In fact, such highly charged ions as phosphate are actually repelled by an air / water interface, where they are unable to be effectively hydrated on the side exposed to the air. Many commercial phosphate binders are used in reef aquaria. Many of these are inorganic solids that bind phosphate onto their surfaces. One common type is aluminum oxide (such as Seachem's PhosGuard and Kent's Phosphate Sponge). Another common type is iron oxide hydroxide (such as ROWA®phos, PhosBan®and Salifert Phosphate Killer). These materials primarily bind inorganic orthophosphate, but they may bind some organic materials as well. Many people (including myself) have successfully used these products, but they have attributes that some aquarists may be concerned about. The following sections of this article detail these products more fully, but in general the inorganic binding media have the potential to partially dissolve into the aquarium water, releasing their primary components (aluminum and iron, for example), as well as impurities that may be incorporated into them. Despite claims to the contrary, these materials are also likely to reversibly bind phosphate, and so may release the phosphate back into the water under certain circumstances. Some organic polymers (including my own pharmaceutical product, Renagel®) are designed to bind phosphate in various forms. While some of these are sold to aquarists and claim to bind phosphate, such organic materials are not very effective at binding inorganic orthophosphate under conditions present in seawater. Such materials experience great competition for phosphate binding sites by the very large amounts of chloride (Cl-) and sulfate (SO4--) in seawater. They may effectively bind organic compounds that contain phosphate, in a fashion similar to activated carbon. I have a project underway in which I am comparing the relative efficacy of phosphate binders in seawater, and I hope to publish the results in future articles. Unfortunately, such comparisons are very time consuming, as it can take many days for the media to reach equilibrium (that is, to finish binding or releasing phosphate) in phosphate-containing seawater, and so to do these tests for a large number of different phosphate concentrations (the way that scientists compare phosphate binding materials in terms of potency) can take weeks to months. Aluminum oxide is the primary ingredient in several commercial phosphate binders, such as Seachem's PhosGuard. These materials are always white solids, although not all white phosphate binders are aluminum oxide. Phosphate binds strongly to aluminum ions exposed on the surface of aluminum oxide solids. Phosphate is believed to bind to aluminum-containing surfaces through a direct ionic interaction between one or two negatively charged oxygen ions on the phosphate with the aluminum ions (Al+++) exposed on the solid surface. After exposure to the aquarium water for sufficient time to adsorb phosphate, the solids are removed and the phosphate is removed along with it. This process has been used historically in other industries as well, including phosphate binding in people, where aluminum use is no longer recommended due to toxicity concerns. Unfortunately, aluminum oxide is not completely insoluble in seawater. I have shown experimentally that aluminum can be released from PhosGuard, and I have also shown that adding the same amount of released aluminum back into an aquarium can irritate corals, causing them to retract their polyps and otherwise shrink. That effect mirrors what many aquarists reported (prior to this test) as a side effect of using these media. Rinsing the solids before use can reduce the likelihood that small aluminum-containing particulates are released into the aquarium, but it does not prevent the solubilization of aluminum ions from the solid surfaces. In the past few years iron-based phosphate binding materials have become very popular among reef aquarists. These materials have been used commercially to treat drinking water (to remove arsenic, for example) and to treat wastewater (to remove a wide range of pollutants, including phosphate). They are sold to aquarists under a variety of different brand names, including PhosBan®, Phosphate Killer, and ROWA®phos. These materials all range in color from reddish brown to nearly black. In a previous article I detailed how they function as well as some of the concerns that aquarists have had when using this material. Even though the commercial materials appear to be reasonably large particles (Salifert claims 0.2 - 2 mm on its product label), they actually have a high internal surface area, somewhat similar to activated carbon. Consequently, apparent particle size is an unreliable means by which to gauge available surface area (though it is reliable for nonporous solids such as table salt). I have seen no measures of accessible surface area for the commercial granular ferric oxide (GFO) sold to aquarists. Warner Marine has recently released a type of GFO (called PHOSaR) that has larger particles than most other brands of GFO, making it potentially more amenable to use in a typical media bag without as much concern for releasing fine particulates to the aquarium. I've not tested it myself. Phosphate bound to GFO surfaces is still available to the water column by exchange, so the sequestering is temporary rather than permanent. This fact is known in the literature3, and can be shown experimentally. I will show the detail in upcoming articles, but it can easily be demonstrated by adsorbing phosphate onto GFO, and adding enough so that a detectable concentration of phosphate (say, 0.1 to 1 ppm) is in equilibrium with the solids. Then remove the solid GFO and add it to seawater with no detectable phosphate. The now-detectable phosphate in the new seawater shows that the phosphate can be released from the GFO media when the aquarium's phosphate concentration drops low enough. One concern when using GFO is that it may add soluble iron to the system. This iron will likely benefit growing macroalgae, and I recommend adding soluble iron to systems that grow macroalgae. However, low bioavailability of iron may limit undesirable algae growth in some aquaria (it can in parts of the ocean), so adding iron might contribute to an algae problem. In general, however, most aquarists find that the use of GFO causes a decline in algae, with the reduction in phosphate being more important to decreasing algae growth than the added iron is to promoting it. A second concern with using GFO is that some aquarists find extensive precipitation of calcium carbonate near or on the GFO itself. It turns out that soluble iron can cause the precipitation of calcium carbonate. Such precipitation can turn bags of GFO into solid clumps, and may contribute to clogging pumps, but in general the effect, if noticed at all, is limited to objects very near the GFO. The extent of this effect may well depend on the degree to which calcium carbonate is supersaturated in the aquarium, as well as on the levels of magnesium and organics (both of which usually reduce the likelihood of calcium carbonate precipitation). The bottom line: Would I use GFO to export phosphate? The answer is yes, and I often do so by adding some into a canister filter that also contains activated carbon. 1. One big winner is macroalgae growth. Not only does it do a good job of reducing phosphate levels, but it reduces other nutrients (e.g., nitrogen compounds) as well. It is also inexpensive and may benefit the aquarium in other ways, such as being a haven for the growth of small life forms that help feed and diversify the aquarium. It is also fun to watch. I'd also include in this category the growth of any organism that you routinely harvest, whether corals (e.g., Xenia sp.) or other photosynthetic organisms. 2. Skimming is another big winner, in my opinion. Not only does it export organic forms of phosphate, reducing the potential for them to break down into inorganic phosphate, but it reduces other nutrients and increases gas exchange. Gas exchange is an issue that many aquarists don't ordinarily recognize, but it is the primary driver of reef aquarium pH problems. 3. The use of limewater, and possibly other high pH alkalinity supplements, is also a good choice. It can be very inexpensive, and it solves two other big issues for reefkeepers: maintaining calcium and alkalinity. Simply keeping the pH high in a reef aquarium (8.4) may help prevent phosphate that binds to rock and sand from re-entering the water column. Allowing the pH to drop into the 7s, especially if it drops low enough to dissolve some of the aragonite, may serve to deliver phosphate to the water column. In such systems (typically those with carbon dioxide reactors), raising the pH may help. 4. Commercial phosphate binding agents clearly are effective. They can be expensive and may have other drawbacks, but can drive inorganic phosphate to very low levels, if that is a goal. 5. Driving bacterial growth is another option. Not only does it do a good job of reducing phosphate levels, it reduces other nutrients as well (e.g., nitrogen compounds). It is also very inexpensive and may benefit the aquarium in other ways, such as providing a food source for certain organisms. Its drawbacks are that it makes it difficult not to drive the nutrient levels too low, and the fact that it consumes oxygen as the bacteria use the added organics as a carbon source. Problems involving phosphorus and subsequent algae growth can be among the most difficult to solve in a reef aquarium, especially if the live rock and sand have been exposed to very high phosphate levels, after which they may be acting as a phosphate reservoir. Fortunately, steps can be taken even in the absence of any algae problem that will benefit reef aquaria in a variety of ways, not the least of which is reduction of phosphate levels. These include skimming and growing macroalgae. All reefkeepers, and especially those designing new systems, should have a clear idea in mind about how they expect phosphorus to be exported from their system. If allowed to find its own way out, it more than likely will result in undesirable microalgae that many reefkeepers are constantly battling. 8. ENCORE: the effect of nutrient enrichment on coral reefs. Synthesis of results and conclusions. Dennison, W.; Erdmann, M.; Harrison, P.; Hoegh-Guldberg, O.; Hutchings, P.; Jones, G. B.; Larkum, A. W. D.; O'Neil, J.; Steven, A.; Tentori, E.; Ward, S.; Williamson, J.; Yellowlees, D. Marine Pollution Bulletin (2001), 42(2), 91-120.